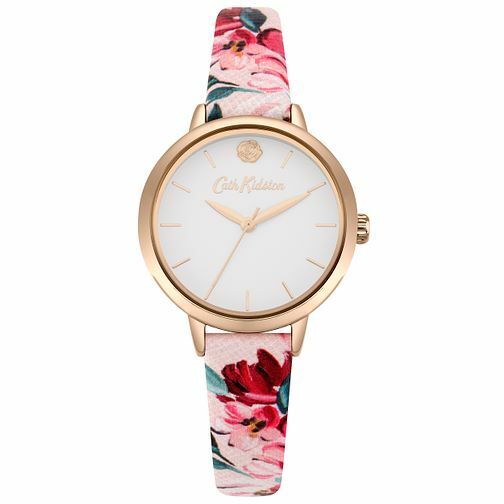 Fabulous and floral, this chic white dial Cath Kidston ladies' watch features soft gold tone detailing, including a fetching floral 12-o-clock marking and other lined hour indices. A co-ordinating case and three hands bring this watch together, whilst a pretty pink floral patterned PU strap gives this classic timepiece a burst of colour. This watch is water resistant up to 30 metres.